Today's managers are faced with constant change driven by a shifting globalised economy and rapid advances in infocomm technology and social media. This period of uncertainty and opportunity is forcing organisations to reshape conceptions of industry, business strategies, organisational structure and the roles of business leaders. The biggest challenge facing leaders today is the new paradigm of leadership. The new reality involves the shift from stability to change and crisis management, from control to empowerment, from uniformity to diversity (cross-cultural collaboration), and from a self-centred focus to a higher ethical purpose. In addition, the concept of servant leadership is gaining currency — the leader as hero is giving way to that of the humble leader who develops others and shares credit for accomplishments. In his book Good to Great, author Jim Collins examines how a good company becomes an exceptional company. The book introduces a new term to the leadership lexicon: Level 5 leadership. Level 5 refers to the highest level in a hierarchy of executive capabilities. Leaders at the other four levels may be successful, but are unable to elevate companies from mediocrity to sustained excellence. According to Collins, humility is a key ingredient of Level 5 leadership. His simple formula is: Humility + Will = Level 5. Level 5 leadership challenges the assumption that transforming companies from good to great requires larger-than-life-leaders. The leaders that came out on top in Collins’ five-year study were relatively unknown outside their industries. The findings appear to signal a shift of emphasis away from the hero to the anti-hero. Today’s organisations need “Level 5” leaders who demonstrate humility, possess emotional mastery and integrity and have a global outlook. The best approach for corporations supporting managers on global assignments of all types is to address both the shift from one culture to another on long-term assignments and the development of managerial talent in an open-minded, culturally respectful mindset that values diversity. Managers going on assignment in another culture need to be aware of their own cultural background. The best preparation for any identity shock, of which culture shock is one type, is to know oneself well. This allows an executive to remain steady under pressure from external influences and provides the strength to be flexible. Ethnocentricity or the assumption that the American or European way of doing business is the standard was never valid. But in a global economy, this misconception is dangerous to a company’s return on investment. A hard-hitting, direct negotiating style can boomerang in Asia, for instance. With a sizeable majority of companies that have employees with international job responsibilities, training leaders to interact effectively and respectfully with people of different cultures is one of the best investments a company can make. Leaders also need to know something about the culture of the nation to which they are moving. The fit between the manager (whatever the cultural background and personality type) and the new culture should be evaluated to determine the likelihood that the manager will or will not be satisfied and effective in the assignment. Ongoing individualised executive coaching is now a proven method of leadership development for managers. Executive coaching is valuable whether used alone or as a follow-up to executive development. When preparing managers for a long-term assignment, executive coaching might ensure that both the manager and the business goal move forward in such a way that employee satisfaction, successful performance, and assignment completion are maximised. Effective executive coaching also ensures that employee retention remains high. Unlike a consultant, who analyses and provides solutions, an executive coach evokes from the client (coachee) solutions that are just beneath the surface, so the client experiences developing expertise from the inside out. In the context of coaching a global executive, the coach may also impart important information about international business practices or coach the manager on how to find it. The focus is on present and future action moving forward a client-determined agenda. The transition to a new culture or learning how to lead a geographically dispersed team is one situation in which coaching means the difference between just getting by and excelling. 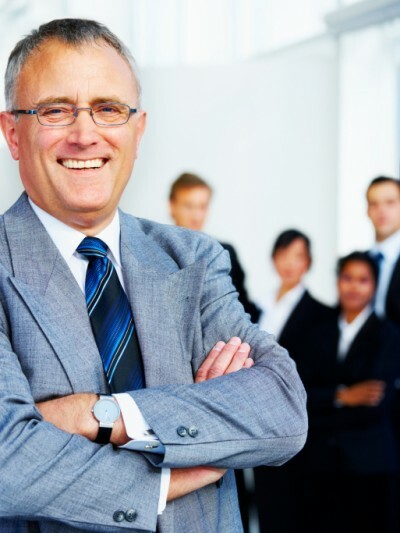 Executive coaches not only develop leadership skills —such as strategic thinking and planning, improved decision-making, and team leadership of their client (coachee) — but are also skilled at supporting them in developing global literacy and adaptability and meeting global leadership challenges. Effective global leadership is too important to be left to chance. Organisations need to critically evaluate their recruitment processes, performance management, succession planning and their training and development. Those that take a thoughtful long-term approach to building effective leadership will outperform others in their industry.